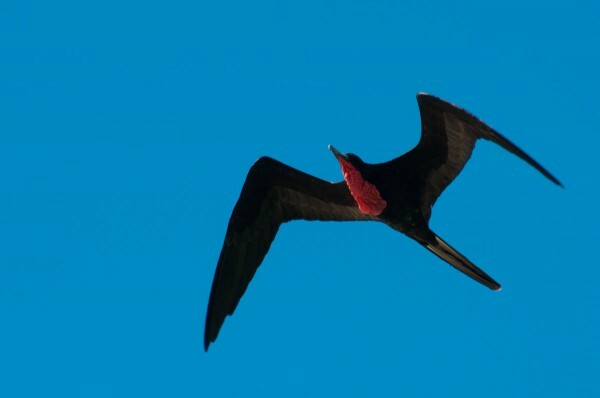 Photographing a bird soaring in the sky captures an important part of its essence, particularly birds like the Magnificent Frigatebird that spend much of their time on the wing. 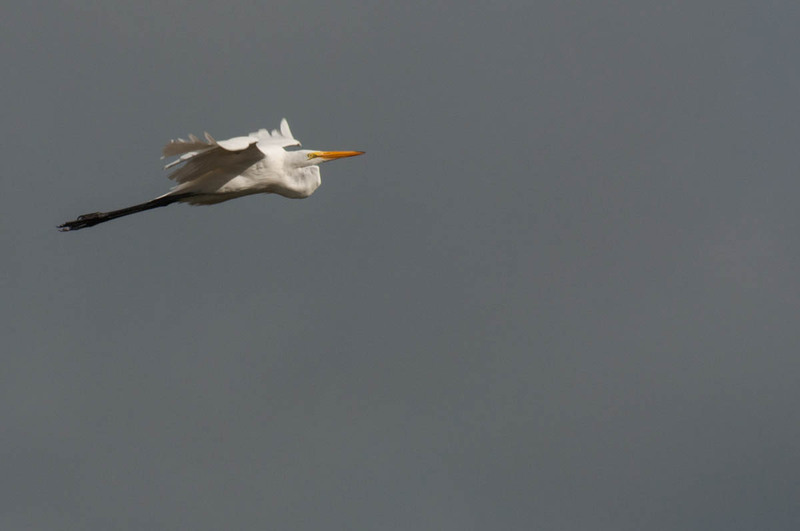 Although a soaring bird is in motion you may be able to track the bird through your viewfinder so you are ready to take your shot when the moment is right, or take several shots to choose from later. When is the moment right? Usually you will want the bird to be close enough to capture details. 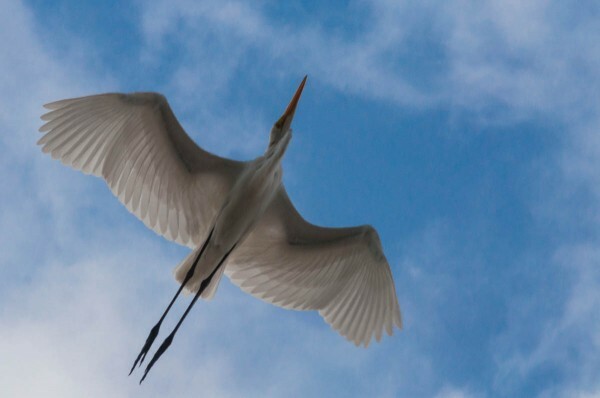 Depending on the situation, you may have the option of photographing the bird coming at you, right above you, passing by you or leaving you, each of which makes a different impression and all of which can be useful. You may also want to time your shot so blue sky is behind the bird. It can be very difficult to get the right exposure if clouds or the sun are in the background, although sometimes clouds or other backgrounds can be interesting. 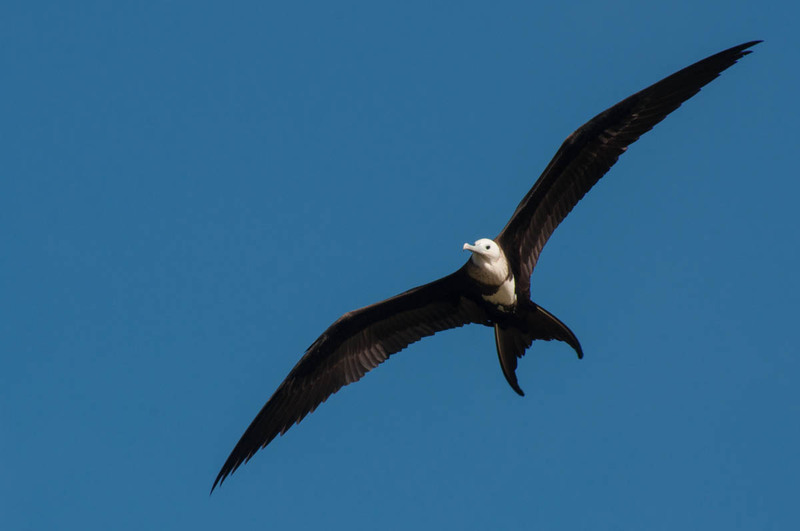 A juvenile frigate captured head-on makes for a dynamic photo. 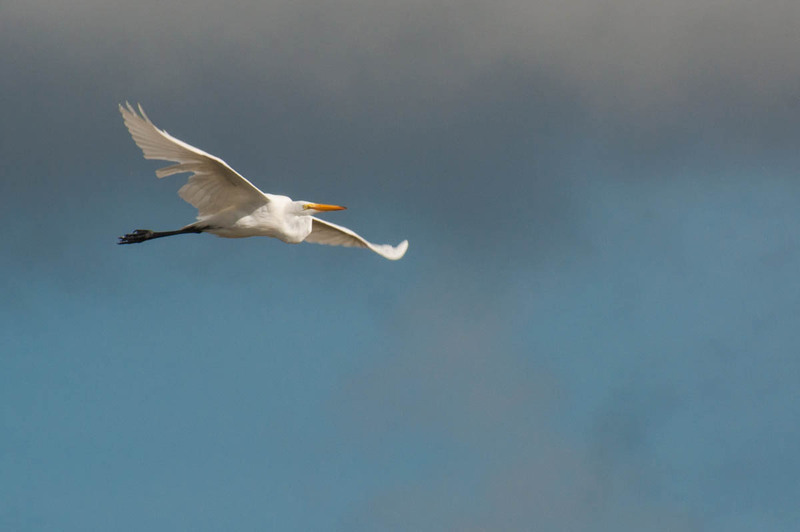 A Great Egret passes horizontally through the frame. Clouds can be boring or make it hard to get the right exposure, but with this Great Egret gray clouds create an ominous feeling. 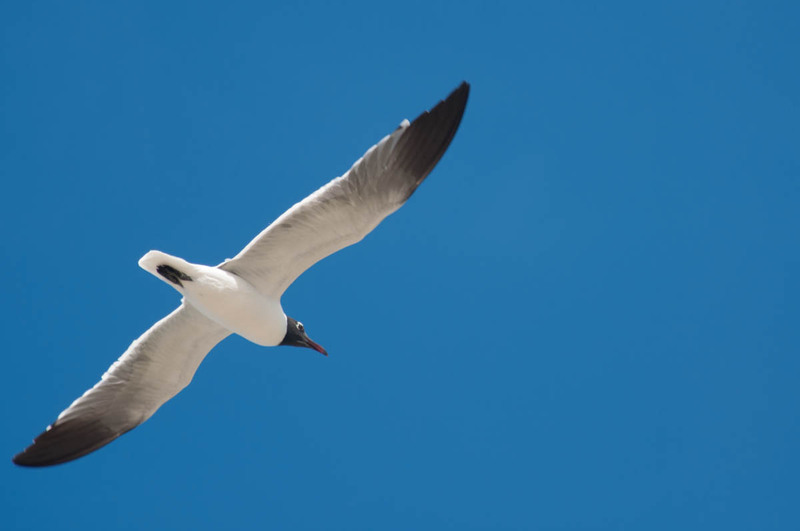 Although shot from behind, this Laughing Gull’s face is still visible, making the shot more interesting. 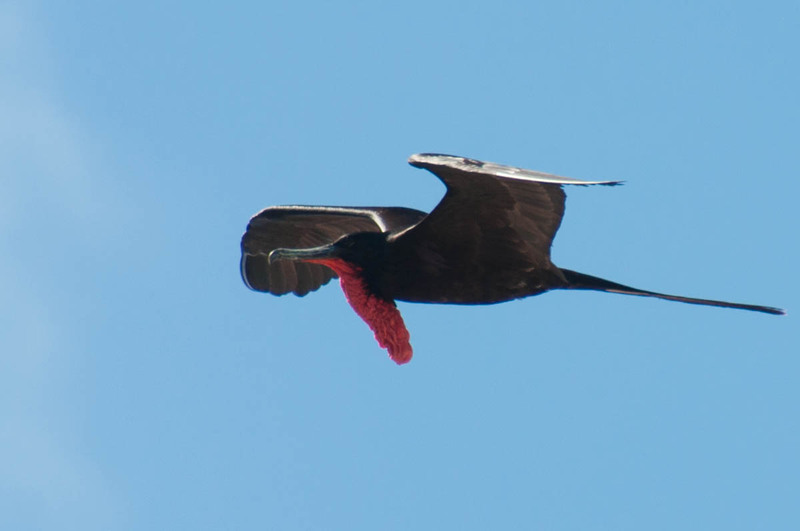 A male Magnificent Frigatebird in profile accentuates its throat pouch. With a plain blue sky in the background the framing of the shot may determine the direction a bird seems to be flying. Captured from underneath, the details of this Great Egret are in shadow, but the angle gives a remarkable view of the bird’s wing feathers. 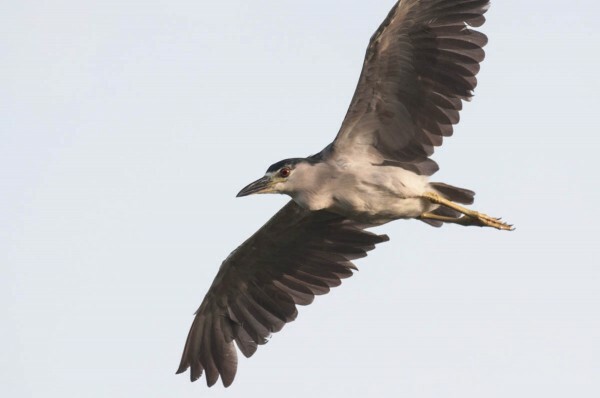 A boring gray background diminishes an otherwise strong photo of a Black-crowned Night Heron.